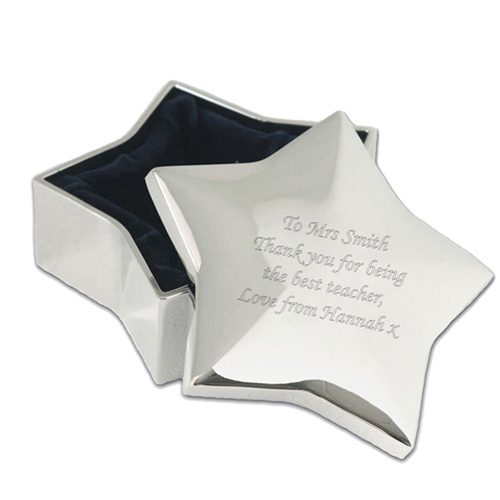 This silver plated 2 piece star trinket can be personalised with any message over four lines up to 18 characters on each line. The design of the trinket is subject to change at any time. Personalise with any message over four lines up to 18 characters on each line.